Merge Dragons! (MOD Free Shopping) – This game is a great choice for players who love dragons and want to build a dragon island for yourself. We can see dragons in movies, paintings or legend stories. In Game of Thrones, dragons are symbols of House Targaryen, descendants of kings and rulers. Dragon is a symbol of strength, prosperity and fear for mankind. But in this game, dragons are extremely cute depicted as a kind of pet. Merge Dragons! is a free puzzle game for Android and iOS, released by Gram Games. Its gameplay is like familiar match-3 puzzle games like Candy Crush Saga or Bejeweled. Have you ever heard of these games? If the answer is “not yet”, it’s okay. Because of the gameplay of Merge Dragons! is extremely simple and easy to understand, suitable for everyone, including small children. 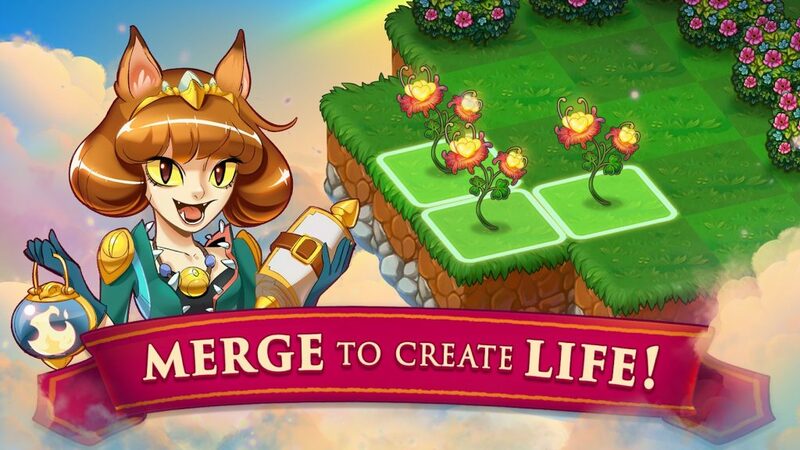 Merge three materials of the same type to evolve, such as merge three trunks to form an ancient tree, three dragon eggs to create a dragon. After that, you can merge three dragons to create a bigger dragon, three flowers to create a bigger flower. The dragon on the map also works to bring light to the dark lands. You cannot merge and move creatures in the dark land. The only way is to light it up and then you can merge it as usual. The rule is just that. And the game is not much of a challenge for you. But in return, Merge Dragons! very know how to addictive players with rewards after each level. The game makes you feel curious and want to know the shape of the creatures in the valley after evolution. Rewards are what I like when playing this game. Merge Dragons! has many types of rewards for players. First is the reward by level, the higher the level the more valuable the reward will be. Besides, you can receive rewards over time. There is a mysterious chest in the main screen, you can receive any rewards after a certain amount of time. The more valuable the gift is, the longer the waiting time. This is a motivating factor for me to return to the game every day. Even if I don’t play, I still have a chance to receive valuable rewards. That great! Graphics is one of the highlights that made me download this game. Merge Dragons! has 3D graphics in extremely cute cartoon style. Bright colors, vivid images. The beautiful Dragonia valley is like a fairyland. Dragons, trees, landscapes, everything is beautifully designed. Fun sounds, suitable for this game. Every hero has his own mission. When playing Merge Dragons! 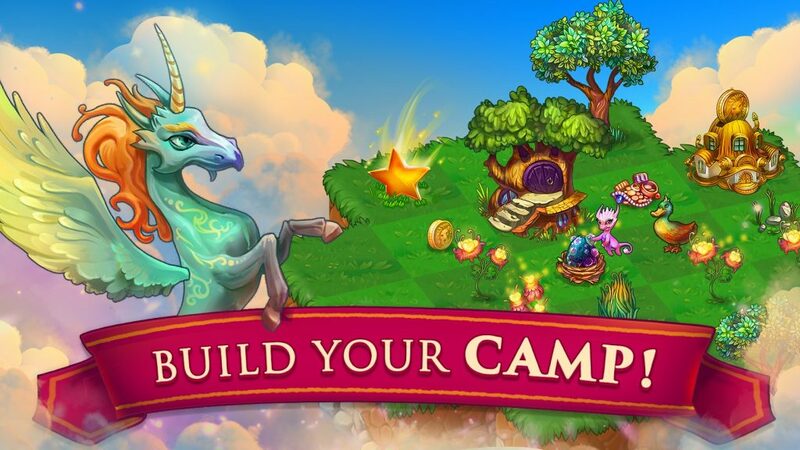 MOD APK, you have a noble mission, that is to revive the valley of Dragonia back to the heyday. 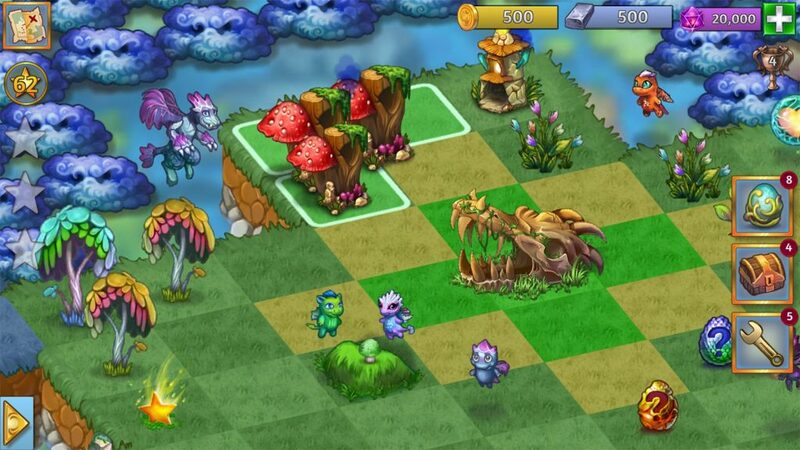 Besides, if you want to join the adventure with cute dragons, let try Hungry Dragon (MOD Money). Merge Dragons! MOD APK is ready to download! 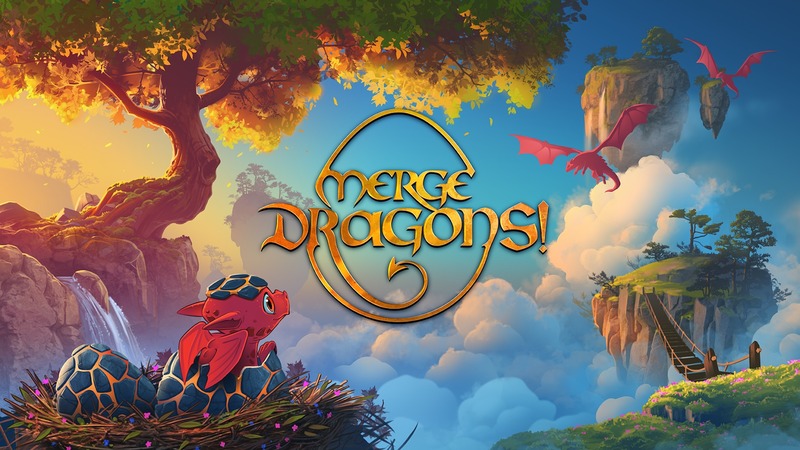 Depending on your needs, you can download Merge Dragons! 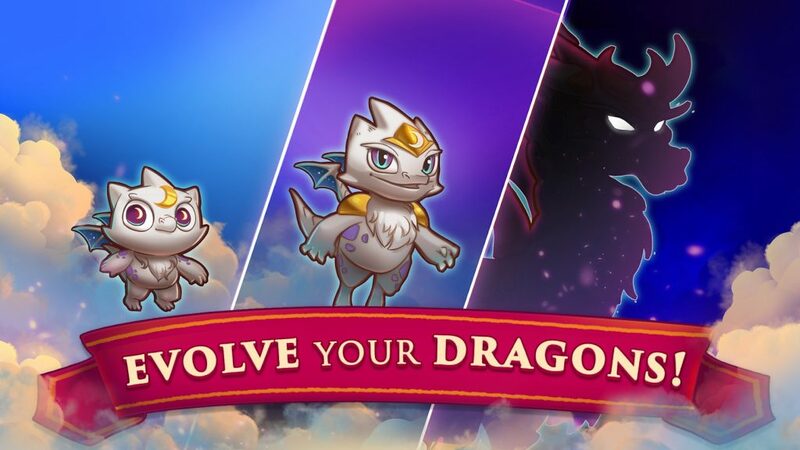 MOD APK or Merge Dragons! Original APK. Or install from Google Play / App Store if you want. Knives Out: No rules, just fight!